Princess Cruises has revealed that the next cruise ship to enter the fleet in the summer 2017 will be based in China all year round. Princess Cruises which is owned by the Carnival Corporation is expanding its Asian operations and as part of that growth the next vessel coming to princess Cruises will sail from Shanghai, China all year round once it arrives in the summer of 2017. The vessel which is currently under construction will apparently be catered to the chinese market. Princess ships began homeport cruising in China just last year, with a successful inaugural season of Shanghai-based cruises aboard Sapphire Princess. This ship returns for a second China season which begins on June 4 and runs through October 2015. 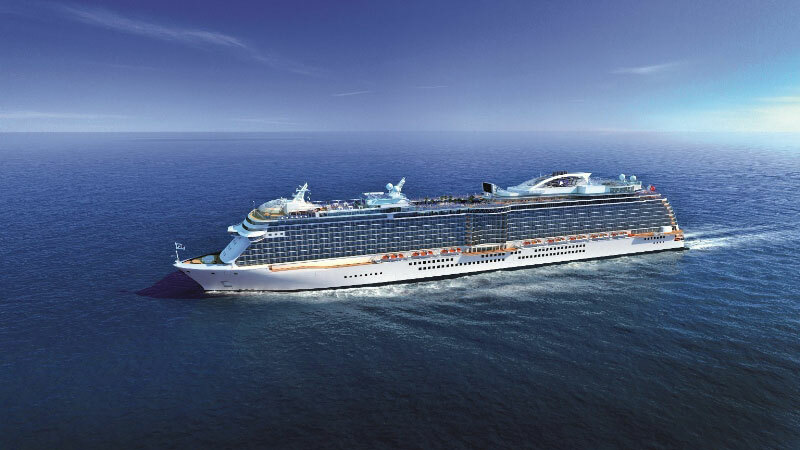 The ship will be based on the design of the company’s new Royal Princess and Regal Princess which have been enthusiastically received by guests from all over the world for their luxurious and beautifully-designed spaces, array of entertainment and activity options, and multiple culinary venues. the unnamed cruise ship that will be based on the Royal class design is being built at the Fincantieri shipyard in Italy. once the ship is delivered in may 2017 it will carry 3,6000 passengers at a large 143,000 gross tons. Expect to see many features that can already be found onboard Royal and Regal Princess.